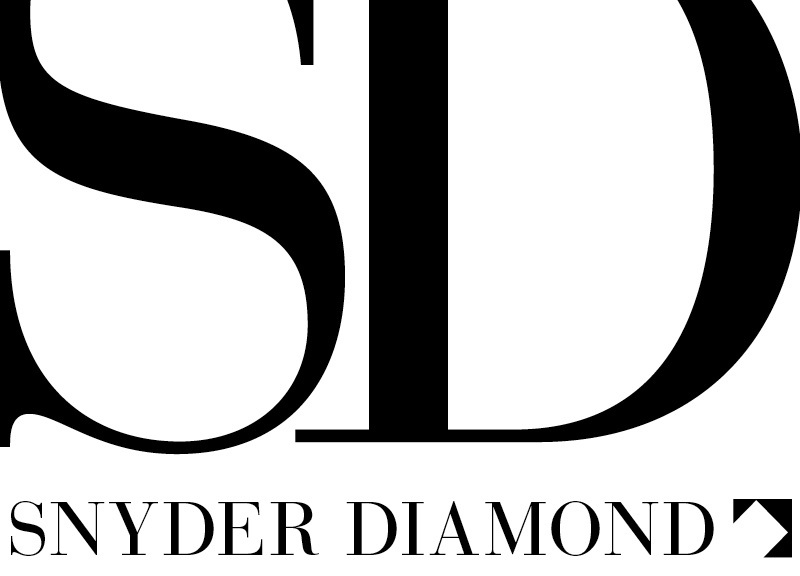 We’re always happy to see our clients’ and vendors’ names in print and online but with so many of them enjoying great press recently, we decided to share the love and do a little roundup of the headlines. 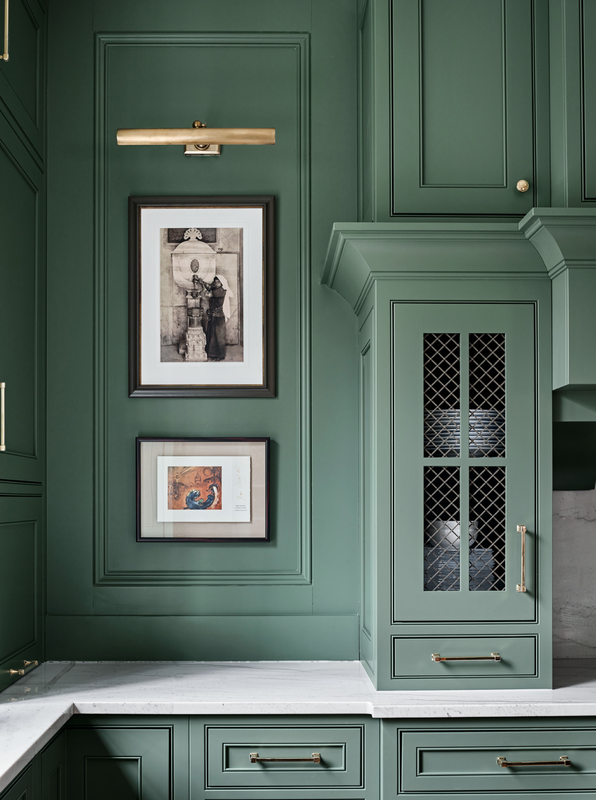 With new furnishings from Timothy Corrigan and Natasha Baradaran, a spray-painted La Cornue range and Alno’s big feature in Traditional Home, we’ve got loads to share. Heartfelt congratulations to all of you! 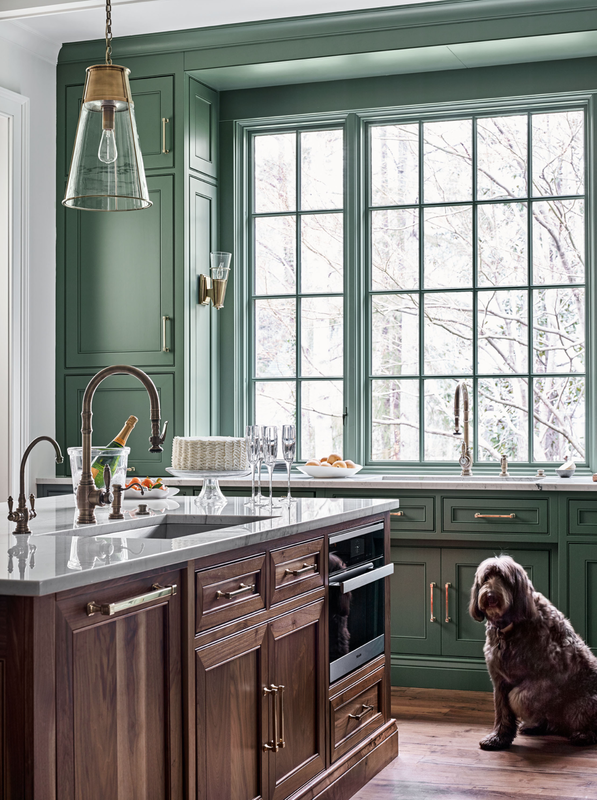 Designer Bradley Odom of Dixon Rye opted for unlacquered brass hardware from Alno to add a little sparkle to the green kitchen cabinets of an Atlanta home newly published in Traditional Home. 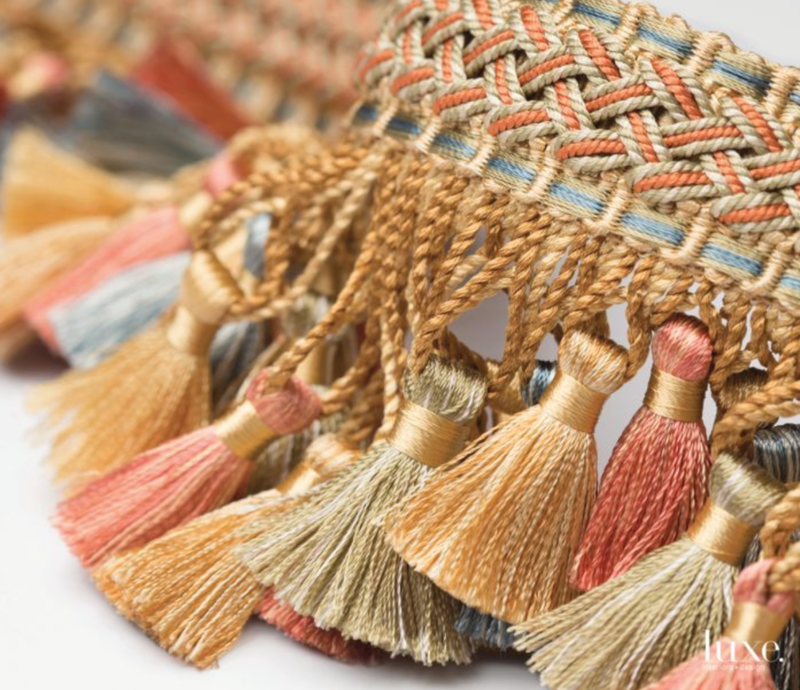 In his first line of trims for Samuel & Sons, Timothy Corrigan gives familiar 18th-century passementerie forms a contemporary edge with a modern palette—and playful colorways like Macaron and Marzipan. 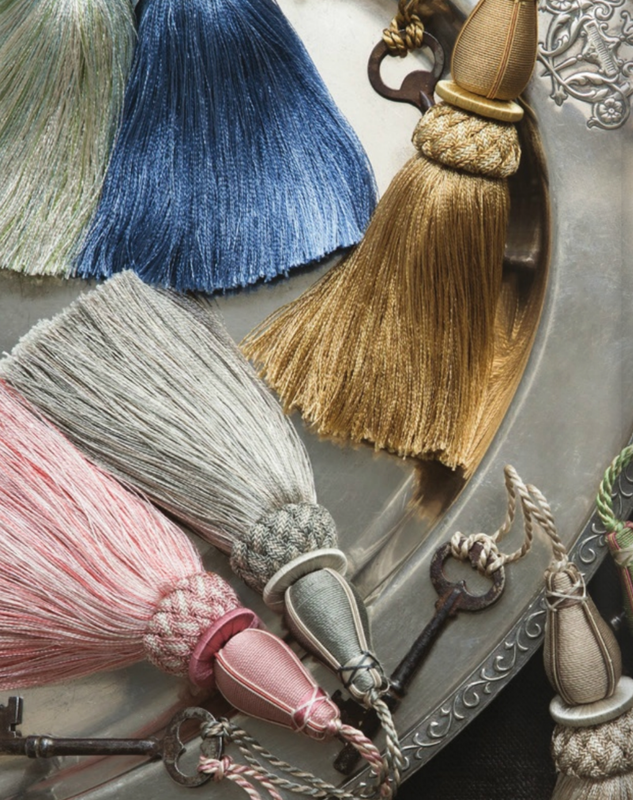 The collection is called Chevallerie, after the historic Loire chateau, Château de la Chevallerie, which the designer recently began restoring. 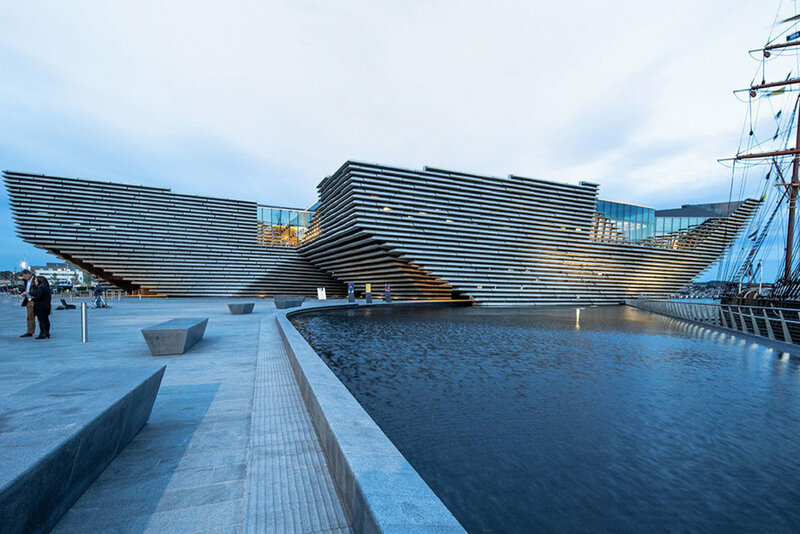 Learn more in this Luxe Daily feature. 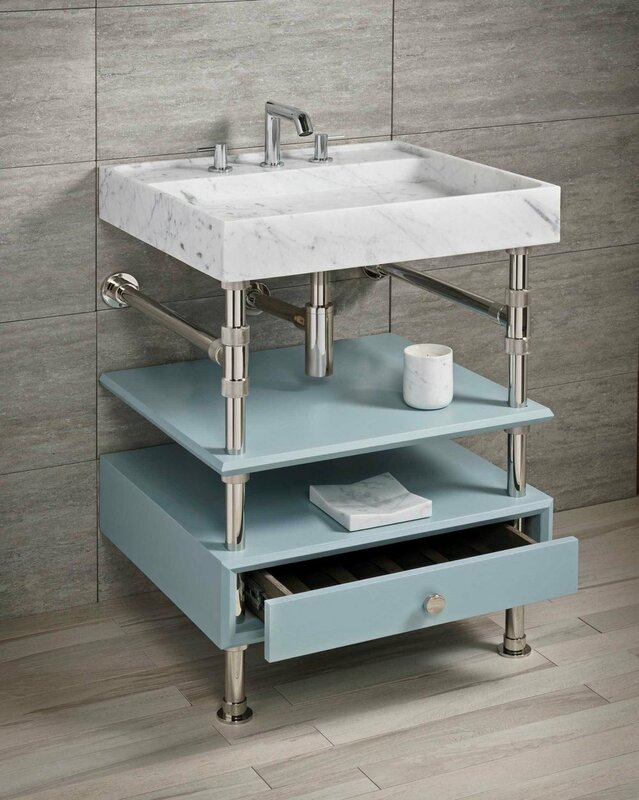 Stone Forest’s modular vanity design, Elemental, has won the Product of the Year Award from the Decorative Plumbing & Hardware Association (DPHA). The clever concept incorporates a mix of materials and enables designers to create precisely the vanity they envision. Read more in Kitchen & Bath Business. The October issue of Kitchen & Bath Design News included its Top 50 Innovators list. The group includes L.A.’s own Laurie Haefele, Michael Berman and Lori Gilder! 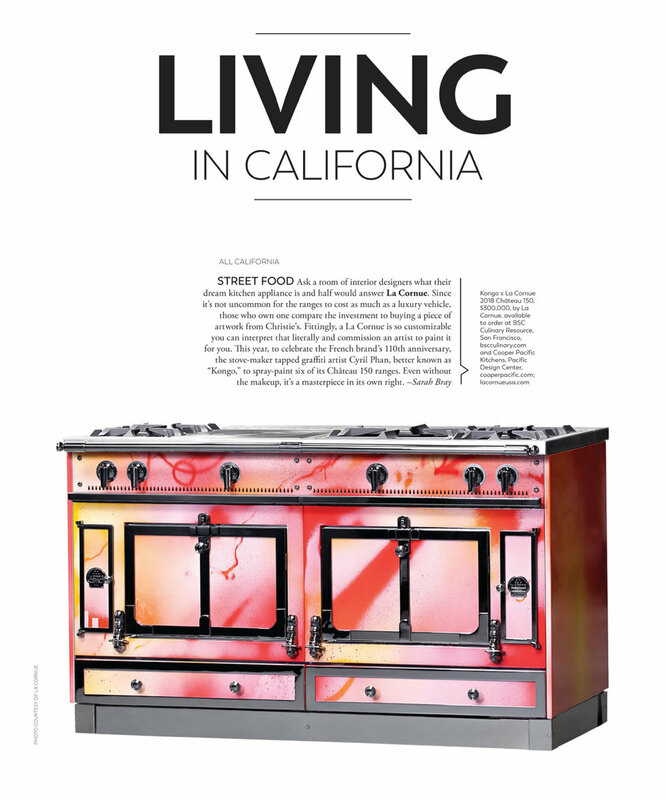 The Fall issue of Modern Luxury Interiors is a double whammy for us: Take a peek at Natasha Baradaran’s new furniture collection and check out a La Cornue range custom-painted by French graffiti artist Cyril Kongo. 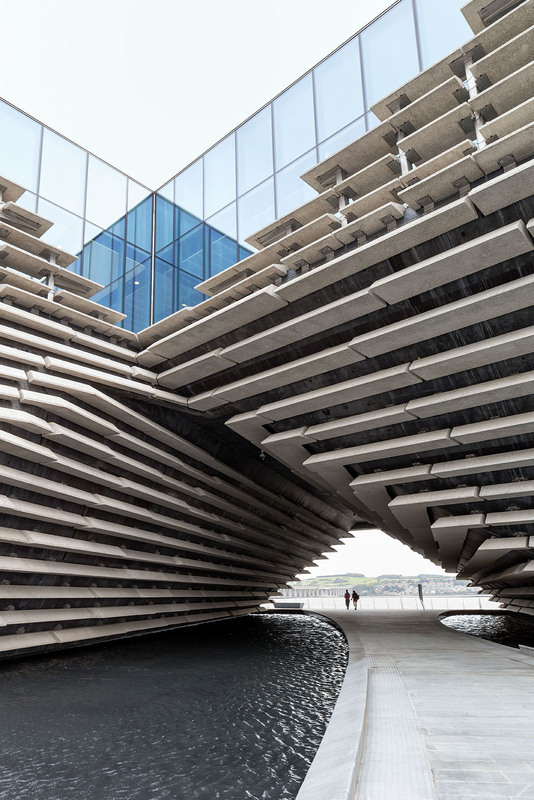 Lauded Japanese architect Kengo Kuma has designed the new V&A museum in Dundee, Scotland. What did he chose for the bathroom fittings? 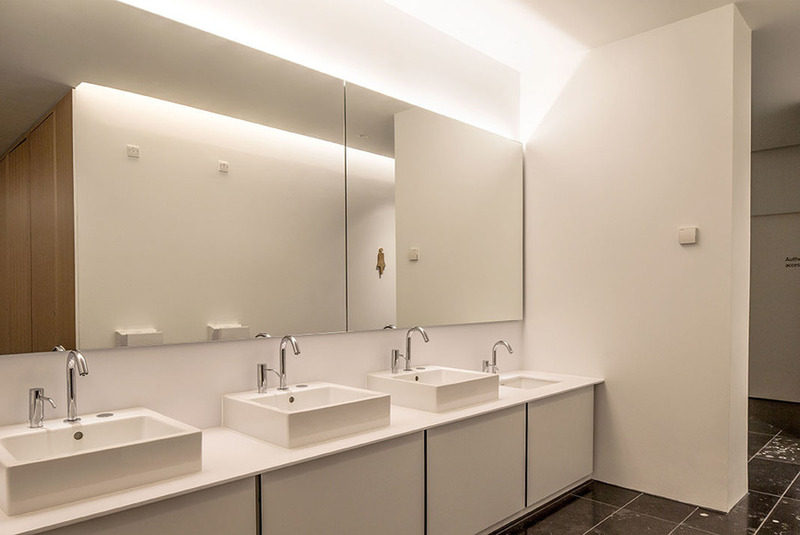 Duravit’s Vero collection, which features clean and simple modernist shapes.